Let’s build a manufacturing plant in Canada! In 1986, Honda of Canada Mfg. 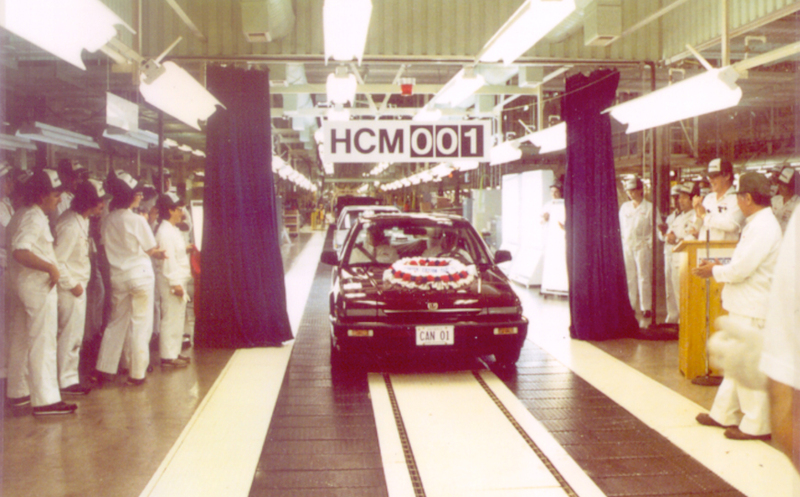 (HCM) began production with the assembly of the Honda Accord, leading the way as the first Japanese automobile manufacturer to establish a production facility in Canada. 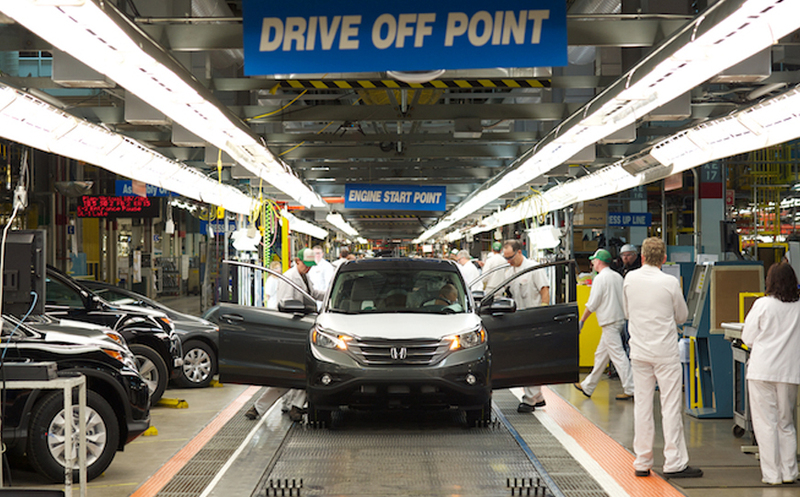 Honda opened its manufacturing plant in Canada as part of Honda’s global commitment to building vehicles close to where they are purchased. Today, HCM is one of Honda’s premier manufacturing facilities in the world. HCM represents a total investment of $4.7 billion (CDN). It produces the Honda Civic Sedan, Si and Coupe in Plant 1, and CR-V in Plant 2. In Plant 3 we build 4-cylinder engines that power our models. The manufacturing facility has an annual capacity of 400,000 units and employs approximately 4,200 associates. The vehicles produced at HCM are sold in Canada and exported to the United States. The Honda Philosophy is a body of values that collectively define who we are and what we stand for. To dream is to be alive. Dreams define who we are, forming a positive driving force that motivates us. They cause us to imagine what could be, to seek out challenges, and to be unafraid of failure. Dreams are our commitments to future generations. Joy is a state of being and a conscious choice to live and work with a grateful heart for a cause greater than oneself. It is the ongoing experience of doing something worth doing for the good of each other, our customers and society. Whether from the marketplace, the race track, or the pursuit of a new technology or business, Honda associates have always viewed challenges as opportunities. We are energized by the unwavering quest for a better way and are consistently inspired to exceed the limits of imagination. Passion is living and working beyond one’s limits. It is compelling and contagious. It is born of our love for society, and it drives our competitive spirit. It is evidenced by our energy, excitement, determination and drive to advance the human experience and become the organization that society wants to exist. Respect is a belief in the highest potential of each and every human being. Respect is demonstrated by abundant opportunities to think, reason, and create in and beyond your role. 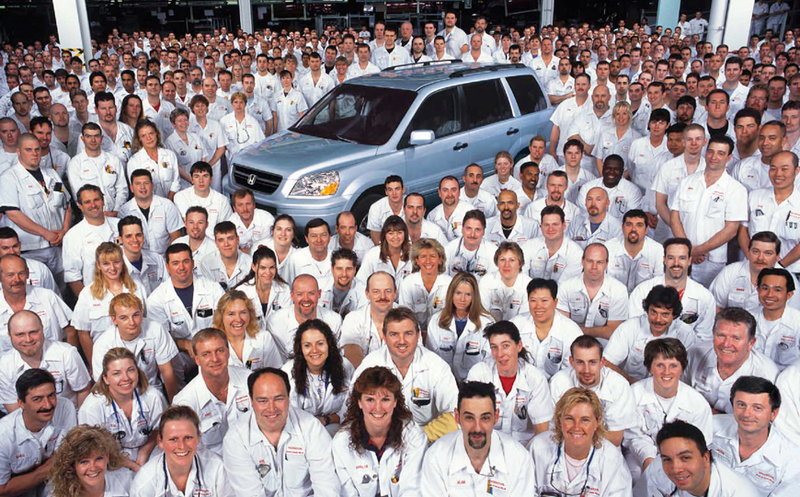 Each individual’s unique and highest contributions are critical to Honda’s success. 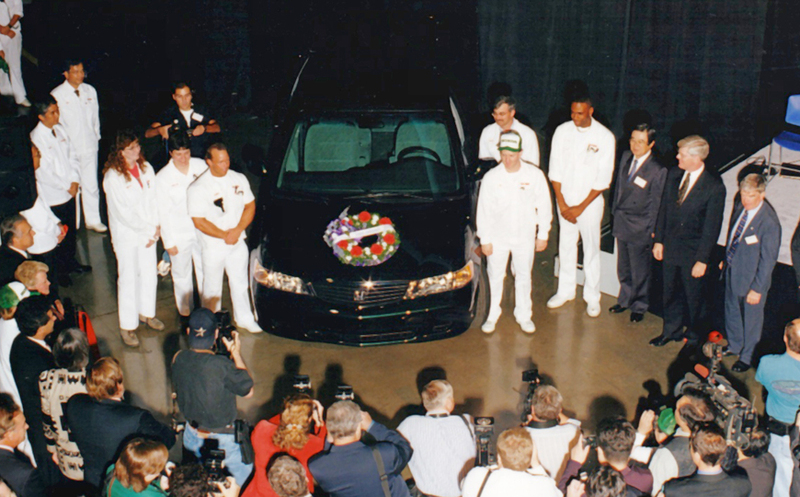 History is made as the first vehicle built at HCM, a Honda Accord, is driven off the line. HCM becomes the first Japanese automobile manufacturer to establish a production facility in Canada. HCM begins the proud tradition of building Civics. The first Civic was a 3-door model. 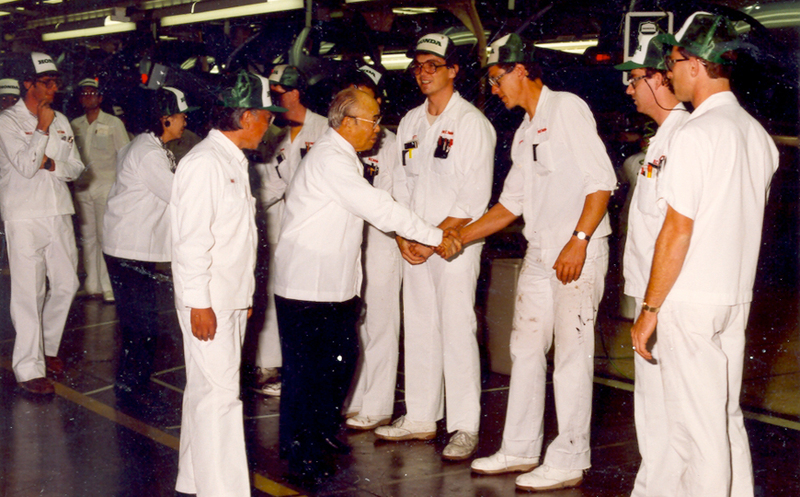 Mr. Honda visits HCM and tours the plant on his way to be inducted into the Automotive Hall of Fame in Detroit. 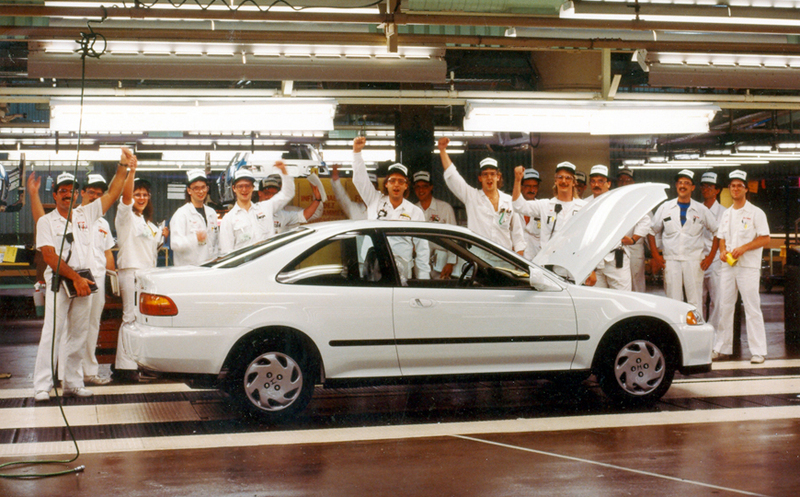 Production of the Civic Coupe model begins with the 1993 model. Plant 2 officially opens with Honda’s first entry into the light truck market – the Honda Odyssey. HCM launches the Honda Pilot and is the sole supplier globally for this product. 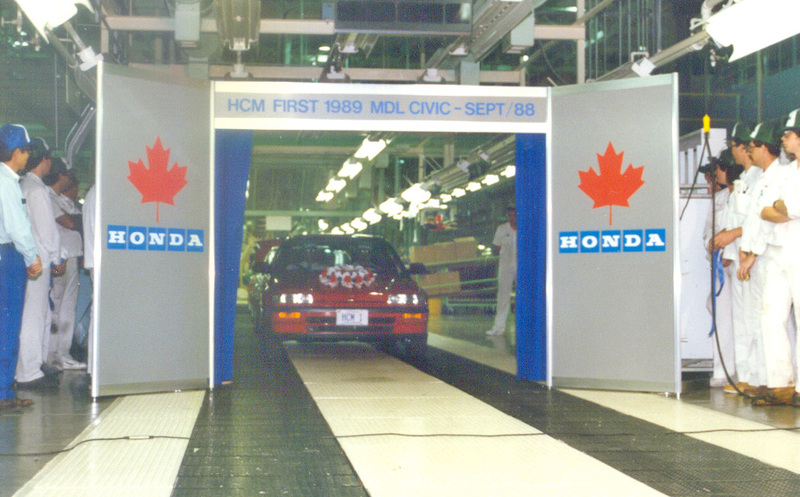 HCM celebrates its 20th anniversary and manufactures Honda Canada’s four-millionth vehicle, a Civic. The Engine Plant opens and begins production of four-cylinder engines. HCM produces the six-millionth vehicle and donates it to the local hospital. HCM begins building the Honda CR-V for the North American market. 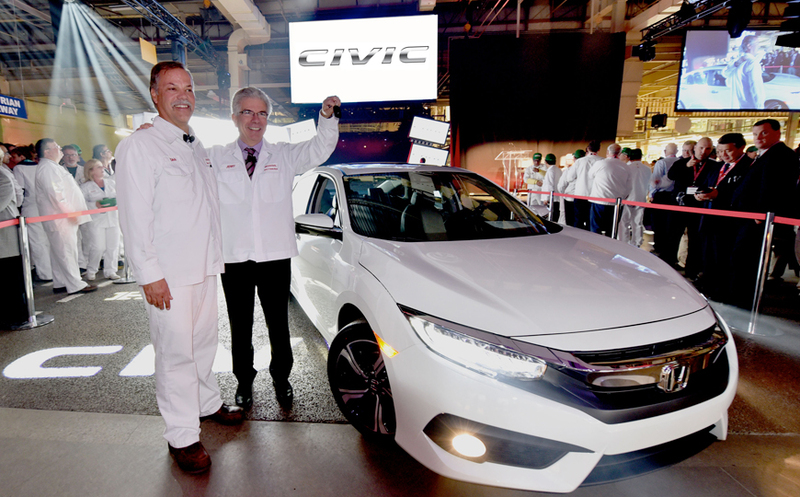 HCM is the global lead for the next-generation Civic. The CR-V is the 2018 Motor Trend SUV of the Year. 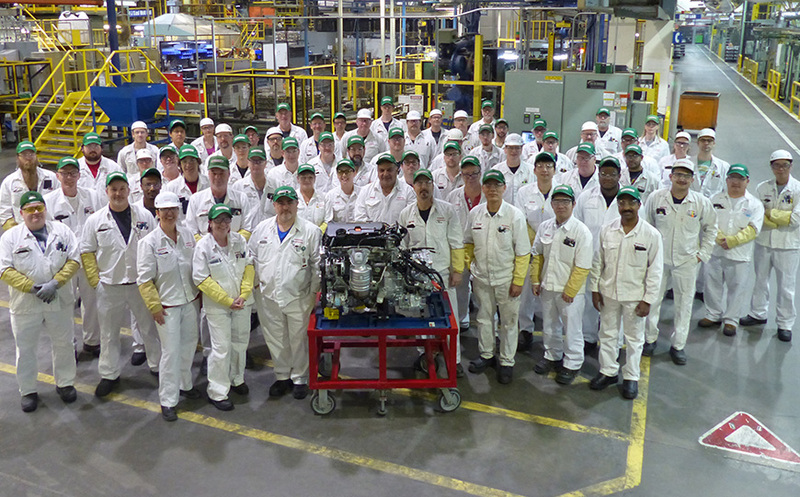 Engine Plant produces its two millionth engine. 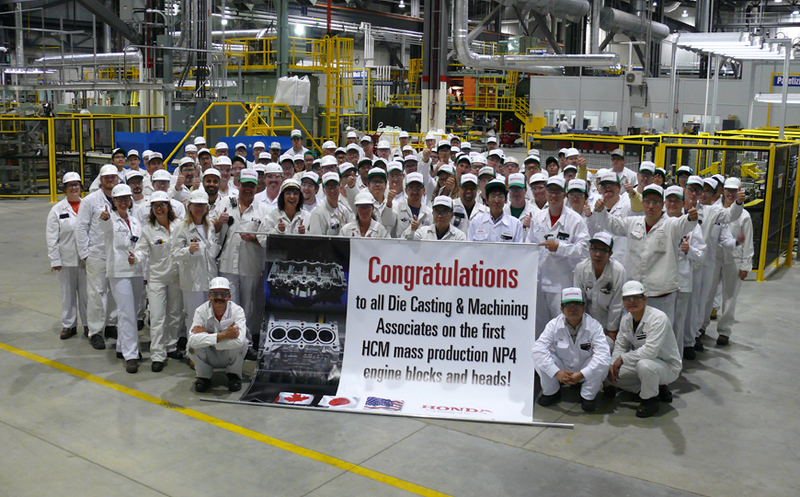 HCM Plant 2 celebrates 20 years of production; Engine Plant celebrates 10. Honda of Canada Mfg. (HCM) is a founding partner of the Honda Canada Foundation. Learn more about the Foundation here. With the contributions and efforts of all associates, HCM has been recognized with many industry awards and accolades over the years. 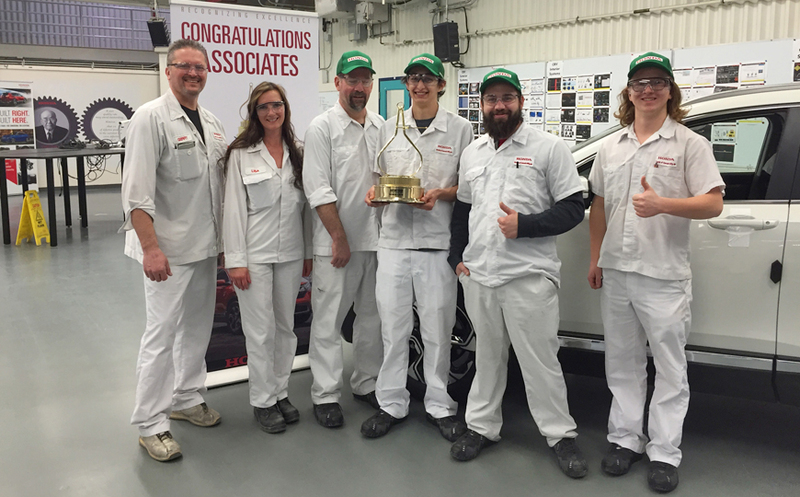 Award-winning vehicles built daily by an award-winning team! 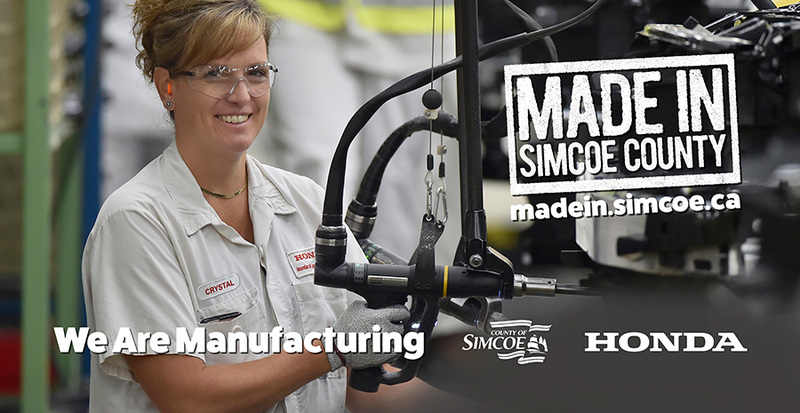 HCM is proud to be included in the County of Simcoe Economic Development Office’s campaign to promote Simcoe County’s strong, diverse and innovative manufacturing sector. “Made in Simcoe County,” offers a backstage pass to our daily production along with that of the many world-class manufacturers across Simcoe County and the opportunity that exists within this dynamic industry. Learn more about the campaign here. “We don’t inherit the earth from our ancestors. We borrow it from our children.” That quote sums up our commitment to being a value to society. We believe passionately in the preservation of our planet for future generations. It’s why we work so hard every day to minimize the environmental impact of every aspect of our operation. This goes to the very heart of who we are. For more than 15 years, Honda associates and their families have made the annual pilgrimage to Spring Creek to get their hands dirty while supporting the environment. Located just north of the plant, Spring Creek is an environmentally sensitive area that HCM is committed to supporting and enhancing. Each year our volunteers plant trees and shrubs, remove invasive species and install bluebird houses. The event typically occurs the first weekend in May, weather permitting. Pursuing environmental excellence through responsible manufacturing in harmony with our community. Encouraging all associates, as members of both Honda and society, to focus on the importance of preserving human health and the environment, and to do their part to help Honda fulfill its responsibilities. Having management members demonstrate that environmental protection is a high priority by setting goals and establishing procedures which are protective of people, property and the environment and by auditing all operations to ensure compliance. Providing training for all associates in order to familiarize them with Honda’s Environmental Policy and help them recognize how their job function may impact the environment. Conserving energy and reducing, reusing and recycling materials and natural resources. Implementing new materials, methods and equipment that will minimize process emissions. Striving to achieve, by means of continual improvement, environmental levels of performance governed not only by legislated requirements, but also taking into account the expectations of our community and customers. Working cooperatively with governments and non-government organizations in developing effective standards, regulations and programs concerning the environment. Encouraging suppliers to protect and preserve the environment. Tsutomu Morimoto, President, HCM and Bill Easdale, SVP, present Maureen Ramsay, Group Leader, Environmental Group with the Manufacturing Excellence Award in Environment in 2017. The Manufacturing Excellence Awards were established by Honda to recognize the best North American manufacturing facilities in the areas of Safety, Quality, Cost, Delivery and Environmental achievement. The awards, launched in 2014, work to encourage manufacturing plants to go above and beyond in the spirit of competition. HCM was one of the first auto assembly plants in North America to acquire ISO 14001 certification, a worldwide standard for environmental management. Under ISO 14001, companies are expected to demonstrate continuous improvement. HCM monitors the program to ensure current activities conform to the ISO standard. Regular audits of our environmental practices by an external agency ensure we retain our certification. HCM currently recycles 99% of its production waste and no waste goes to landfills. Each year, HCM associates and their families volunteer to participate in a tree planting activity in conjunction with other community groups. To date, Honda associates and their families have planted over 80,000 trees and shrubs and participated in an annual cleanup of debris from the stream in Alliston, Ontario. In addition, HCM maintains a community walking trail and has installed a variety of bluebird houses. HCM supports the North American Honda objective of lowering CO2 emissions from its manufacturing operations. We do this by setting annual targets to reduce energy consumption in our facility. We have already achieved our 2020 targets. HCM is now striving toward meeting future greenhouse gas reduction targets to further reduce CO2 emissions. During non-production hours, all departments have systems in place to match equipment or lighting required to the activity planned. The goal is to be a “silent factory” when we are not building vehicles. HCM continuously analyses process conditions and identifies inefficiencies. HCM has been recognized by Enbridge Gas for several equipment innovations that have conserved natural gas. As equipment is upgraded, it is replaced with more efficient versions. For example, a new robotic line in the welding department uses less electricity and compressed air than the original line. We have also replaced high bay lighting with newer technology in order to reduce electricity consumption and support the Honda Motor goal of eliminating mercury from the factory. Many associates have contributed energy reduction ideas through our quality circle and suggestion programs. All associates participate in our efforts through everyday activity such as ensuring exterior doors are closed, turning off switched equipment at the end of a shift, or turning off lights when leaving a meeting room. 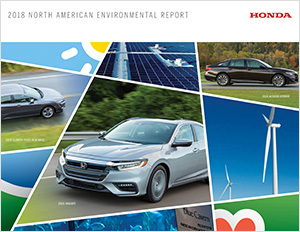 The 2018 North American Environmental Report gives a comprehensive look at Honda products and operations on the continent and our commitment to the environmental well-being of this region and our planet. At HCM the words of our founder remain central to our safety program: There will be no production without safety. HCM maintains a comprehensive approach to safety that benefits associates at home, at work, and at play. The strategy is part of Honda’s commitment to Safety for Everyone, and is centered on the creation and maintenance of a strong culture of safety. Statistics show that the number and severity of injuries occurring outside of work far exceeds those occurring at work. Of equal concern are the number of incidents involving young people. Swimming pools and motor vehicles, in particular, introduce hazards to the lives of young people and require our combined care and attention. HCM associates are provided with a unique form of safety awareness training called SafeStart. SafeStart teaches safety awareness as a skill, and provides associates with the tools to take this skill home for their families. Research shows that when a person takes it upon themselves to teach information to others, their own knowledge and retention of that information skyrockets! To date, more than 5,000 HCM associates have completed SafeStart. HCM maintains an ISO-based Safety Management System that is modeled after the Occupational Health & Safety Assessment Series (OHSAS) 18001 standard. Deployment of this system begins with Job Task Analysis (JTA), a tool that supervisors and project leaders use to guide the design, implementation and management of safe conditions and safe behaviours in their work areas. Associates play an important role in both equipment risk assessments and zone job task analysis, by bringing a wealth of experience and detail to the assessment. What does it mean to have a strong culture of safety? A strong culture of safety exists when every person in an organization approaches everything they do with the necessary safeguards and safe methods, because they “want to”, rather than because they “have to”. At this level of organizational performance, safety is ingrained in each person as a value that guides that way in which we approach all tasks: at home, at work and at play. Policies and procedures alone will not build a strong culture of safety. Real change in HCM’s safety culture comes focusing first on the visible actions and examples of leaders. Leaders can then take steps to look for and understand the roots of at-risk conditions and behaviour through proactive checks in the workplace and proper incident investigation. Most importantly, when knowledge is gained from incidents, that “know how” must be shared with all associates to foster their awareness and prevent recurrence. By sharing our experiences, we further reinforce our own learning, and help others avoid experiencing the same incident. Across HCM, the Department Joint Health and Safety Committee, featuring leadership and associates, conducts monthly workplace inspections and meetings to discuss health and safety concerns, and recommendations for improvement. HCM was recognized with the Chief Public Safety Officer’s Special Recognition Award (CPSO) at the annual Ontario Electrical Safety Authority Awards presentation. This is the only award of its kind to be presented in 2017. It is an honour for HCM to receive this recognition for its continual improvement and successful implementation of the CSA Z462 standard for electrical safety.